We are authorized dealers and service center for most major Dive Equipment suppliers, and can meet all your recreational and technical diving needs. Our online store is just a representation of the lines and products we carry. Don't see what you are looking for..? Contact us, we either have it or can bring it in for you! Our store in Lincoln is stocked with a wide variety of products, come on in to browse the store and relax and have a coffee while you are there! Your tanks will be filled as you wait, and you can find out about upcoming training and dive excursions. We run a seasonal retail outlet at Atlas Park, in Pointe-Verte NB. Forgot your fins, gloves or hood? 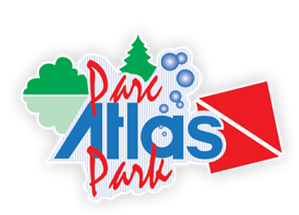 No problem, drop in to Atlas Park and pick up what you need!